In the midst of the Civil Rights Movement in May 1963, thousands of children marched on Birmingham and Alabama. Armed with principles of nonviolence, the students intended to approach the mayor of Birmingham to broach the topic of desegregation. This peaceful march, aptly named the “Children’s Crusade,” was met with a less than peaceful response—hundreds of children were arrested, and police were ordered to smack the children with batons. Yet, the marches continued, and within eight days of the first march, city leaders forced Birmingham businesses to desegregate. Although not widely known, the “Children’s Crusade” was a turning point for the Civil Rights Movement. All eyes were focused on Birmingham, as this march, this crusade, this movement, led by thousands of children working together, brought change. Today, Americans live in a country plagued by gun violence. More than that: Today, our government, made up of adults, has done next to nothing to change this. Yet, after the school shooting in Parkland, Florida, survivors, such as students Emma Gonzalez and David Hogg, have stepped up and begun a renewed and passionate push for gun control. The “Children’s Crusade” and the movement led by Parkland students center on the same message at the core: the youth are powerful and can effect change. While there are differences between the experiences of (and responses to) these two movements, the similarities are undeniable and can provide insight into what comes after the constant coverage and the hashtags and the “March for our Lives” organized by the Parkland students. To continue this call for change, we, the youth, have to find hope in history. Although students may often feel disadvantaged when calling for action as we cannot vote and are often viewed as naive and childish, our voices can still create real impact—we can see historical evidence of this in the Children’s Crusade. 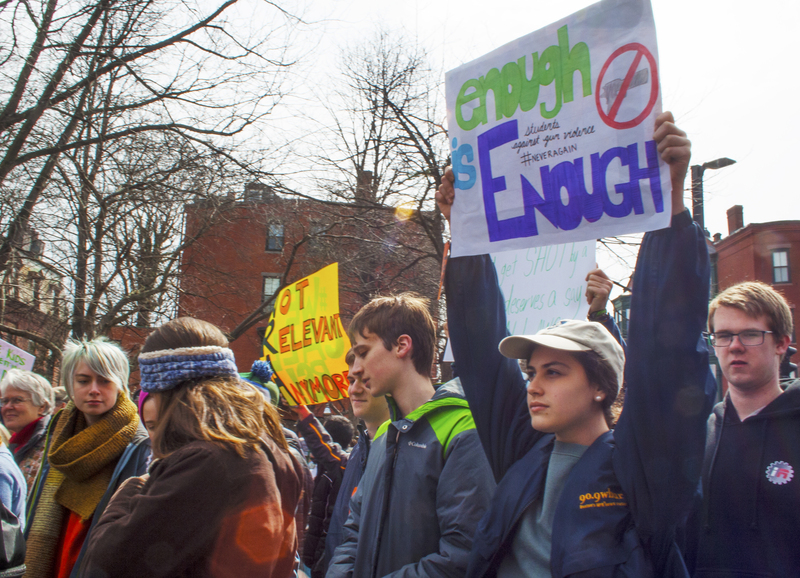 During the Boston March for Our Lives, which I attended, the organizers prioritized students above everyone else. There was a special section at the front of the Boston Common cordoned off for students, and volunteers throughout the crowd asked students if they had registered to vote, handing them the necessary papers for registration or pre-registration. But the march was also a reminder that even those who cannot vote can create change—the main speakers were mostly students. Students’ voices were lifted up, listened to, treasured. The same idea was apparent at the school walkouts all over the country on March 14. Just like during the Children’s Crusade, students came together—physically and politically— to call for change. While the March for Our Lives is over, the movement is not. In the coming days, we must keep our voices strong to affect the change we want to see. And all we have to do to remember the power of children’s voices, of our voices, is take a look back at history.